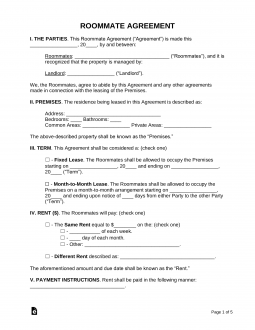 A roommate agreement, also known as a ‘room rental agreement’, is a template used for the leasing of bedrooms in a housing unit while sharing communal areas such as the living room, kitchen, etc. All the individuals listed in the contract shall be liable to each other in regards to payments for rent, bills, services, and any other agreed upon charges. In addition, if there is any damage in the communal areas the roommates, as a whole, will be liable. College Roommate Agreement – To establish an agreement or understanding between individuals living in a dorm room on-campus. Should the Roommate be Added to the Original Lease? A Roommate Agreement is a contract solely between the members living within the same rental unit that holds two or more people. Do not confuse a Roommate Agreement with a Lease Agreement, as a one is a contract between only tenants and the other is a contract between a landlord and tenant(s). Many contingencies can be listed in a Roommate Agreement, such as house rules, but the only legally binding aspect is the financial arrangement listed in the agreement. A Roommate Agreement can be used between roommates or tenants in a house, apartment, college dorm or any type of shared living space. Finding a roommate has probably never been easier. 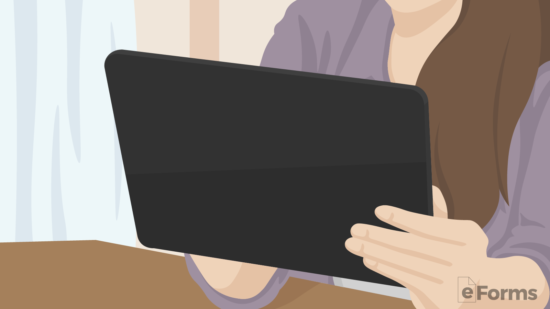 Sites like Craigslist and Facebook serve up thousands of listings for every taste and budget. Meanwhile, rising costs mean that an increasing share of the renting community can no longer afford to go it alone. Technology and financial strain form an easy alliance, making the roommate search seem cut and dry. Yet it should not be confused with buying pants, booking a plane ticket, or the many other things made easy by the internet. Sharing an apartment is an inherently personal matter that can have real consequences. In the worst case, an ill-conceived arrangement can spell headaches for the tenants – even financial peril. Do not assume “common sense” will serve as shared guidepost; do not assume that other tenants have the same priorities or standards. The best course is to be conservative: carefully screen prospective roommates and set key terms in a written and signed roommate agreement. Should the Roommate be Added to the Lease? This depends on how your roommate agreement is structured. Most commonly, there are one (1) or more persons that are on the lease for the residence with the landlord. In the lease, the landlord gives the tenant(s) the right to sublet the property so that separate agreements can be made with roommates. Pros: The tenant(s) have the ability to control the roommates that come in and leave and get to set the prices for rent. Cons: If a roommate does not pay rent it affects the tenant(s) on the lease. The tenant(s) will remain responsible for the payment of rent. Additionally, if any of the roommates need to be evicted this will come at the cost of the tenant(s), not the landlord. If the roommates decide that they want to be on the lease then an Addendum must be authorized and added to the original lease. If the roommates want to also have an additional roommate agreement listing the responsibilities of the tenants to one (1) another that is an option as well, although not required. The best source of seeking out someone responsible to live with begins with contacting friends and family. This usually will provide the best character reference and can be easily done in today’s world with a simple social media post. 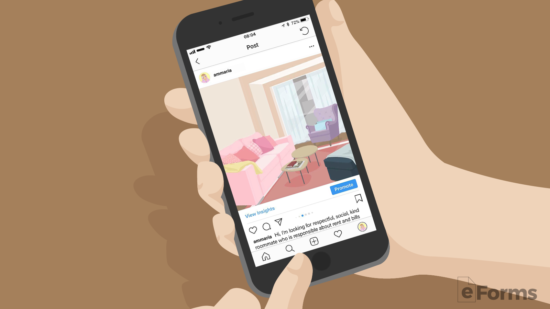 Make a post on popular social media sites like Facebook or Instagram to see if your friends or family know someone in your area looking for housing. This will be the best reference point as people close to you will say the truth if someone can be trusted and if they are responsible with their finances. If you are not able to find anyone through your social circles then making a commercial listing on popular roommate finding websites is the next best bet. Although this can be a nail-biting experience have no fear! It is easier than you think to find someone with a good employment history while checking their criminal and credit history to ensure the roommate is someone with a clean track record and good job. Make sure that when you are posting your listing that you make stipulations that will filter out a lot of the bad candidates such as: requiring he or she is employed, can move-in by a specific date, etc. Depending on the area and the monthly rent, chances are your inbox will get flooded with responses fast. Set up meetings with the best candidates to ensure that he or she is someone that you will get along with. This person will be living with you for an extended period of time so it’s nice to select someone that has, more or less, the same interests. 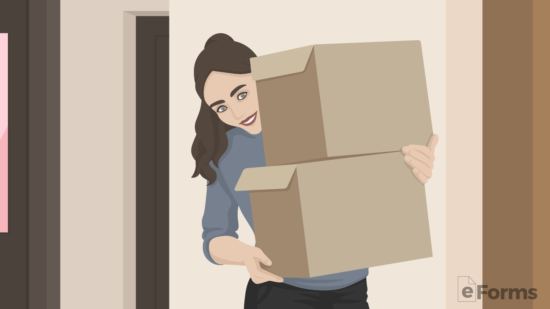 If the potential roommate decides they would like to move-in, be sure to collect their information from a rental application and collect a fee (usually $30 to $50) to cover the costs of the background check. It is not required but highly recommended that the tenant is screened for credit, criminal history, credit report, and eviction data from all 50 States. The only websites that offer such features are MySmartMove.com ($35), LeaseRunner ($47), Cozy.co ($40), and MyRental.com ($30). All the aforementioned websites offer instant reports. The cost of the background check should be covered by the applicant at the time of meeting in the previous step. Even though an individual’s track record may be clean, they could have character flaws that may implicate the relationship of the residence. It is highly recommended that you do not invite a “cancer” into the home that starts drama or doesn’t like to clean up after themselves. Therefore, it’s best to ask for the names of individuals that have lived with the individual before to get a first-hand experience of the person’s true behavior. If the applicant is approved then it’s time to create a roommate agreement (Download). This should be done with all the roommates together (if more than two (2) total). It is common that at the lease signing, and before the move-in, that the new roommate pay for the security deposit (if any) and the first (1st) month’s rent. This could save you and any roommates a lot of headaches in case the person is attempting to get free housing for a short-term period. If the new roommate wants to be added to the original lease then that is something that would need to be addressed with the landlord. After everything is finalized it’s time for the new roommate to move-in. Make sure, if there are any building rules, to let he or she know the best times so he or she can plan. Otherwise, it would be in general a good roommate gesture to help. It’s not uncommon for the new roommate to have only a small amount of furniture. So it shouldn’t be more than a few hours for the new roommate to get their furniture in the property. Rent and utility obligations: How much rent does each tenant own? When are the rent and utility payments due? In what form are bills and rent to be paid? Will the roommate provide a security deposit for incidental damages? What are the terms? A plan for keeping tidy: Will the apartment use a chore wheel? Hire a cleaning service? Designated quiet times, policies for overnight guests, parties, and noise. How the space is shared: Who will provide furnishings and decorations? Policies for smoking, drinking, and other extracurricular pursuits. How much notice is expected before a tenant departs? What happens if the agreement is breached? A roommate agreement is not a lease. In most cases, the rent, length of the lease, rules about pets, sublease policies, and other related matters have already been set by the landlord in the “master lease.” That agreement is primary. Other terms may be set by statute. In some states, for example subletting is a near enshrined right for renters while other jurisdictions limit short-term sublets to counter the influence of Airbnb. 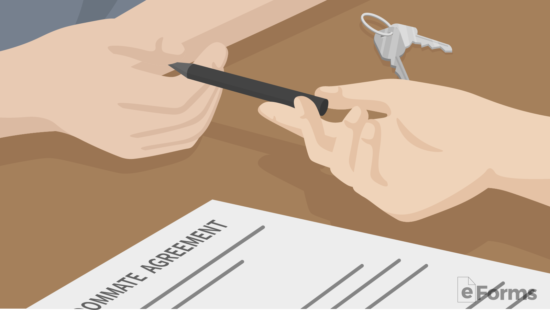 These lease and statutory terms are generally non-negotiable in a roommate agreement. Most veteran renters have at least one war story. What happens if your new roommate does not keep his or her end of the bargain? While your roommate agreement should address eviction, even if it is signed, dated, and witnessed, it will not necessarily be enough to kick the troublesome tenant out. Often, the best course is to enlist the landlord. While a lone tenant may not have the clout to evict a bad roommate, the landlord might have the power to do so, especially if this roommate is not on the lease. Even if lacking in formal authority, building owners often have the intimidation factor to force out nettlesome tenants. A good practice is to share the roommate agreement with the landlord at the start to make sure that all are on the same page. In the worst case, if the delinquent tenant is on the lease and disputes the allegations, you may have to cut your losses and (a) leave voluntarily or (b) face the cancellation of the entire whole lease and the eviction of all tenants. Many disputes can be nipped before they rise to the level of eviction. It’s usually easier (and often right) to assume that your roommate is operating in good if misguided faith. Here, the old saying about catching flies with honey is apt – just because you have a legal or quasi-legal document in hand does not mean that all disagreements should be treated like legal disputes. 1. Are Roommate Agreements legally-binding? It depends. Any agreement between roommates is subordinated by the lease (or “master lease”) that is signed with the landlord. Whether or not a roommate agreement is enforceable will depend on jurisdiction; putting things in writing, and signing and dating in the presence of a witness can all lend credibility to an agreement. 2. What should be included in a Roommate Agreement? In the least, you should specify rental and utility responsibilities, whether a security deposit is required, and other basic “house rules.” Agreements commonly dictate cleaning responsibilities, and policies for overnight guests, noise, and quiet hours. 3. What if your roommate does not abide by the Agreement? Formally, this depends on the legal status of your agreement (see above). As a practical matter, eviction can be even more cumbersome than finding a new roommate. Can you work things out? One pre-emptive practice is to schedule weekly or monthly roommate meetings. This can be specified in the original agreement. Conflicts can be brought to the floor during these sessions. Locate the image on this page and select one of the caption buttons to gain access to a copy you may view and work with on your machine. If your machine has a program that may edit one of the three file types ( Adobe PDF, Microsoft Word (.docx), or Open Document Text (.odt)) displayed on these buttons, you may use it to enter the requested information onscreen, then print it for the signing. Otherwise, you may fill it out by hand or with a typewriter so long as this is done so legibly. Find the heading “Section 1. The Parties & Property,” then prepare to supply the information it requests where appropriate. Fill in this paperwork’s Effective Date on the first blank line. The Tenant who will live with the Roommates and intend to enter the living situation under the terms defined in this document should be named on the blank line labeled “New Tenant.” The next blank line will require the Full Name of the “Landlord/Principal” presented. 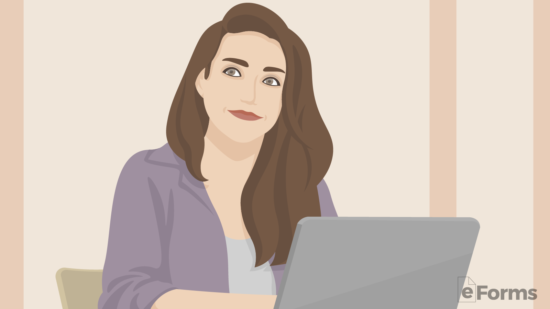 Record the Full Name of each Roommate on the blank spaces labeled “Current Co-Tenant(s).” In addition to the Names of each Roommate, we must define the concerned Premises. Document the Physical Address of the Premises where the Roommates will live on the empty line between the bold word “Property” and the parentheses labeled “(Address).” This should be the Building Number, Street, Apartment Number, City, State, and Zip Code of the Premises the Roommates intend to share and live in. Finally, this document will need a definition as to when the Roommates defined above will live on reported Property under the terms defined in this document. Find the statement “This Agreement Is To Last For the Same Term As Our Lease Agreement…” then, supply the “Start Date” and the “End Date” of the Lease Agreement on the two blank spaces provided. The next area, “Section 2. Security Deposit” shall discuss the amount of money the New Tenant must submit to the Roommates’ Security Deposit Fund. Supply the Security Deposit Amount the New Roommate must submit on the first two blank spaces. This amount should be written out as words on the first space then supplied numerically on the second blank space (just after the dollar sign). We will also have to report the Full Security Deposit Amount that must be submitted according to the Master Lease. Supply this Dollar amount written out then numerically on the next two blank spaces. Naturally, when discussing a Roommate arrangement, we will have to cover the amount of Rent that must be paid by each Roommate and substantiate this figure by reporting the total Rent that must be paid to maintain the residence. This will be handled in “Section 3. Rent.” There will be a few bullet statements which should be read by each Roommate after the first two are supplied with the requested information. Produce the Total Monthly Rent the Roommates must pay according to the Master Lease. This should be presented literally on the blank line just before the word “Dollars” then numerically on the second blank space. Now, use the two blank spaces following the phrase “The New Tenant Agrees To Pay…,” report the Monthly Rent Amount the New Roommate/Tenant must pay to maintain this agreement. Finally, the second bullet statement requires the Full Name of the individual who will collect the Monthly Rent from the New Tenant. A blank space has been supplied so this may be reported clearly. “Section 4. Utilities” will focus on the various services that are often required to maintain a residence. This section will seek a definition to the New Tenant’s share of the Utilities and Services required for the living arrangement defined here. Four bullet statements requiring input have been presented to adequately define the New Tenant’s responsibilities. If any statement of this section is inapplicable, you may either strike through it with a horizontal line or delete it. The first statement will have two blank spaces. Utilize the first blank space, after the terminology “…Agrees To Pay 1/,” to record the portion of the Utilities the new Tenant will pay. For instance, if the New Tenant has agreed to pay %25 of the Utilities, enter the number four to complete the fraction as “1/4.” Then on the blank space after “…Following Utilities, document each Utility Bill where the New Tenant will pay his or her share. In the second statement, we will need to record the New Tenant’s portion of Services he or she has agreed to contribute a payment to maintain. Use the blank space after “…To Pay 1/” to record the fractional amount of the Services Bill the New Tenant will be responsible for paying then, on the next blank space record each Service this will apply to. For instance, if the New Tenant will pay half the Cable Bill, then fill in the number “2” onto the first blank space and the word “Cable” on the blank line after the words “…The Following Services.” The third bullet statement here will allow a documentation of the New Tenant’s intent to assume the responsibility of making sure a Utility or Service is paid for by having it placed in his or her Name and collecting whatever agreed upon amount from the other Roommates’ portion of the expected payment. Enter each Utility or Service the New Tenant will place in his or her Name and collect participating Roommates’ shares (of that bill/invoice) on the blank space provided. The last statement here will enable the New Tenant to have a Utility or Service placed in his or her Name. The Utility or Service recorded on the blank space in this section will be placed in the New Tenant’s Name and will be paid for by the New Tenant. 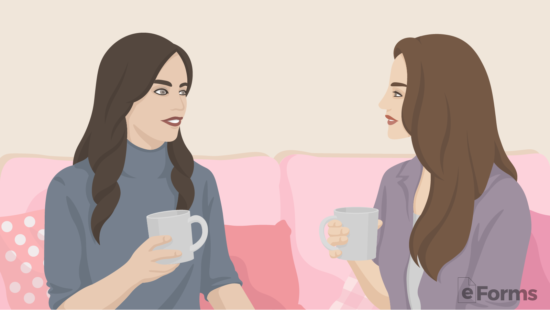 The template here will cover the basic issues that must be solidified in most Roommate situations, however, there may be additional agreements the Roommates wish to set in place. For instance, there may be a Cleaning Schedule or Parking Agreement that should apply. If so, then draw up a document with the points each Roommate has agreed to then attach it to this paperwork as per “Section 6. Additional Agreements.” Note: This attachment should be clearly labeled, dated, and attached before the time of signing. The formal execution of this document’s terms will be handled in “Section 8. Authorization.” Before the Roommates sign their names, the Date of theses Signatures should be recorded. Enter the current Calendar Date at the time of signing as a Two-Digit Calendar Day, Month, and Year in the area presented after the words “The Roommates Have Executed This Agreement On This…” The first party to sign this form will be the Principal Roommate/Landlord He or she will need to sign the “Principal Roommate/Landlord’s Signature” line then print his or her Name below this on the “Printed Name” line. Next, New Tenant must sign his or her Name on the blank space labeled with “New Roommate’s Signature.” The “Printed Name” line below this must have the New Tenant’s Name printed on it by the New Tenant. Finally, each Co-Roommate participating in this living arrangement must sign and print his or her name on the blank lines after the words “Co-Roommate’s Signature” and “Printed Name.” Make sure that each Roommate signs this document. Enough room for three additional Roommates to sign this document, if more room is necessary you may continue the Signature Roster on an attachment.